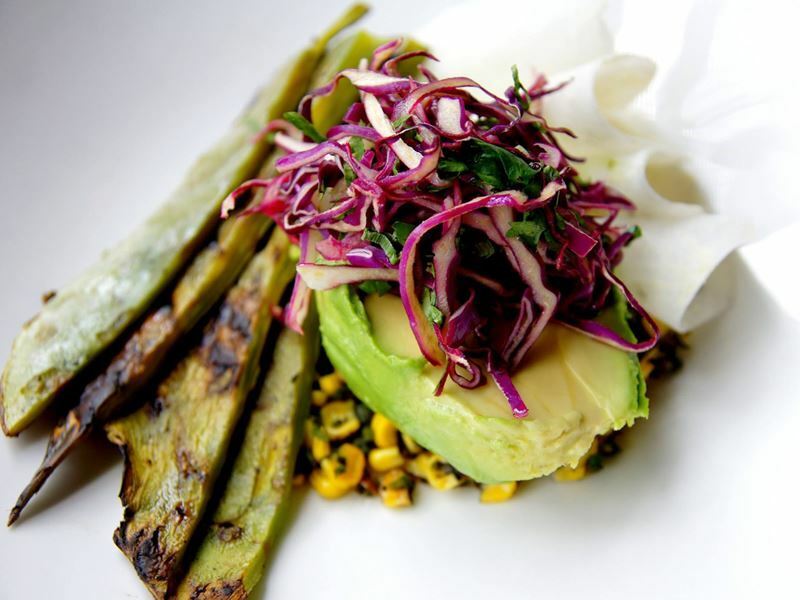 A world away from old fashioned fine dining restaurants with tuxedo-clad waiters and dusty chandeliers, Denver’s white tablecloth restaurants are ingenious food lab where master chefs push the boundaries of both classic and modern cuisine. When first rate service works as smoothly as a carefully choreographed ballet, the dining room is so stunning it could be mistaken for an art gallery and the wine list is presented by a friendly, knowledgeable sommelier in a leather-bound book as thick as the dictionary, you know you’ve made the right choice for dinner. 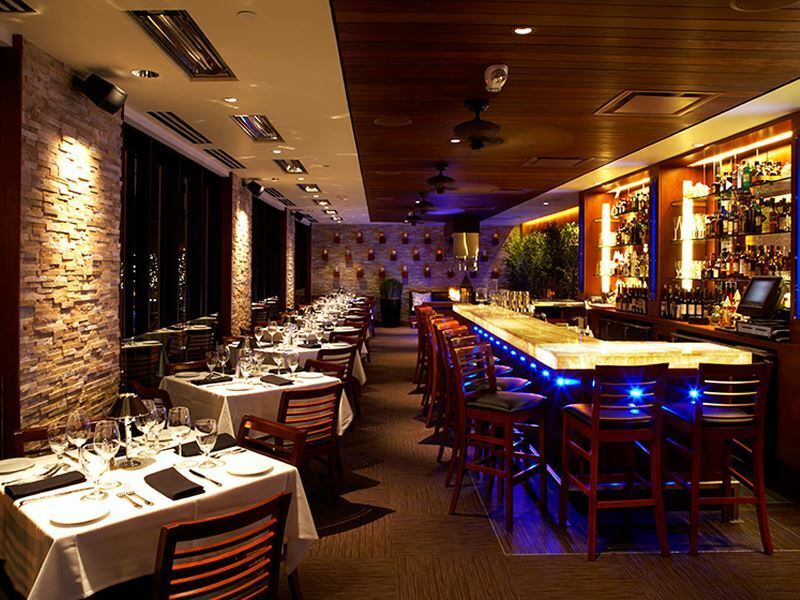 If a casual meal out just won’t do, make a reservation at any of these 10 fine dining restaurants in Denver, Colorado for an upscale experience that proves gourmet eats, exemplary service and pristine surroundings are still going strong in the city. The scene: Despite being located inside Hotel Monaco, Panzano is definitely not your typical hotel restaurant. Following the mantra “Those who eat well, live well”, this foodie haven reflects the flavours of Northern Italy with menus bursting with creative antipasti, hearty soups, comforting pasta dishes, perfect pizzas, fresh seafood and gourmet meat options. And while the flavours and cooking techniques are strictly Mediterranean, all the organic and sustainable ingredients are grown close to home, resulting in one of the freshest dining experiences in town. The vast array of menus cover a series of indulgent options for breakfast, brunch, lunch and dinner, plus a huge range of gluten-free items and, the star of the show, the chef’s very reasonably priced five-course tasting menu. 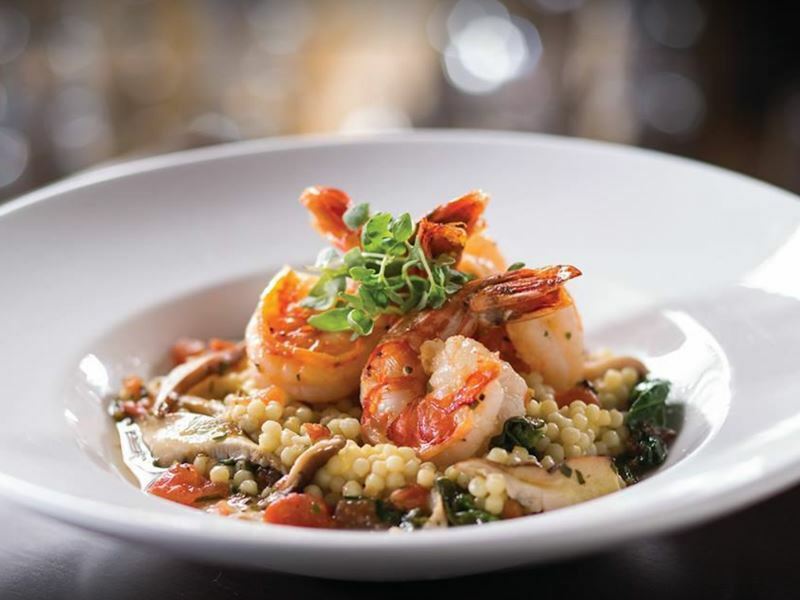 To complement the perfectly balanced dishes, there’s an award-winning wine list, enhanced by local Colorado beers, craft cocktails and much more. 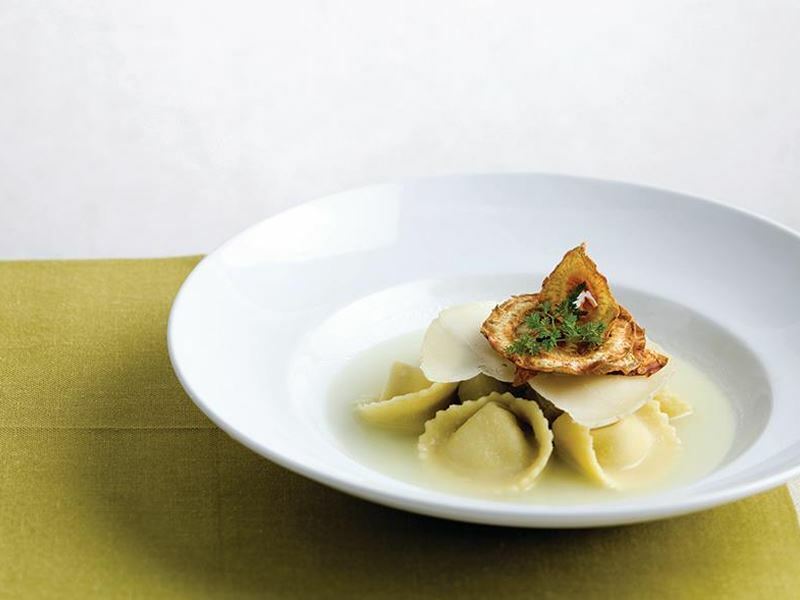 Signature dish: Pastiche – a casserole of layered cheese tortellini, spicy meatballs, ragu sauce and cinnamon custard, topped with a thyme puff pastry crust. The scene: A modern American restaurant and lounge, Ocean Prime Denver is nestled into one of the city’s oldest and most historic streets and is best known for its superb steak and seafood. Featuring only the highest quality ingredients and pure local flavours, the dinner menu includes sustainable seafood selected daily for freshness and USA prime steaks carefully aged for maximum tenderness and flavour. These dishes are paired with classic steakhouse-style sides such as creamed spinach and loaded baked potatoes, and stand alongside a tempting selection of freshly prepared American-style sushi and raw bar offerings. The incredible wine list features selected labels from all over the world, but the signature cocktails (in particular the Ocean Prime margarita with hand-squeezed red grapefruit) are amazing. Make a Sunday reservation for a surf and turf set special or stop by for lunch to check out their zesty seasonal lunch features. Signature dish: Ocean Prime house salad – Romaine lettuce, field greens, Granny Smith apples, goat’s cheese and walnuts drizzled in a sherry mustard vinaigrette. The scene: Oozing comfortable elegance, The Capital Grille creates the perfect atmosphere for savouring their nationally renowned dry-aged steaks, fresh seafood and highly acclaimed world-class wines. African mahogany panelling and art deco chandeliers create a warm, stately feel while gracious and attentive service allows you to relax and soak it all in. Brimming with epicurean eats, each more enticing than the last, the dinner menu showcases excellent steaks prepared with real flair, such as bone-in coffee-crusted New York strip with shallot butter and porcini-rubbed bone-in ribeye with 15-year aged balsamic vinegar. The remainder of the menu is dedicated to a handful of other chops and poultry, fresh Maine lobster, innovative fish dishes and mini tapas-style sharing platters loaded up with ingredients and flavours so good you won’t want to share. The drinks list is just as exhaustive as the dinner menu, with an enviable choice of wines (both by the bottle and by the glass) and signature cocktails. Signature dish: Seared tenderloin with butter-poached lobster tails. The scene: Named after the biggest Chinese-influenced market in Saigon, ChoLon is a modern Southeast Asian bistro that serves artistic and adventurous small plates out of its dynamic open kitchen. Reliably buzzing with an intense atmosphere you’ll only find where delicious, creative eats are always the dish of the day, the restaurant’s menu may be small, but every dish is balanced, executed and presented perfectly. From the addictively crunchy Thai shrimp rolls with umami mayonnaise to the Tandoori lamb chops with caramelised yoghurt and basil, each menu item will leave you drooling from the title alone and you’ll want to order one of everything. The decadent desserts are just as ingenious as the savoury plates, including their play on peaches and cream (wedges of peach served with kaffir lime curd, coconut sherbet and crispy phyllo fingers) and the ever-so indulgent “Triple Chocolate”, artistically created out of a trio of milk chocolate crunch, toasted white chocolate ice cream and Ovaltine. Signature dish: Soup dumplings served with sweet onion and melted gruyere cheese. The scene: Perennially one of the top five tourist attractions in Denver, Rioja enjoys simple environs with a touch of the Mediterranean that really lets the food shine. 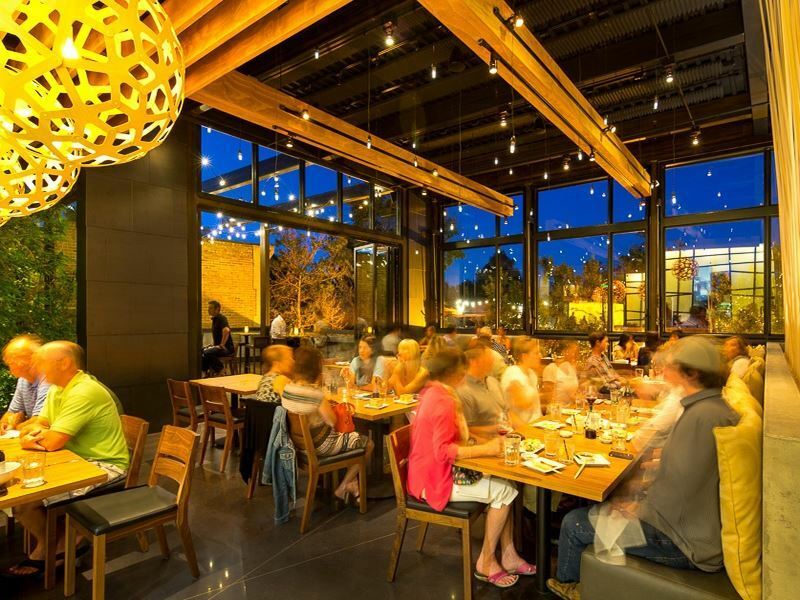 From the minimalist exposed brick walls to the hand-blown glass fixtures and copper-topped bar, every detail has been carefully chosen to provide a contemporary, casual atmosphere in which to enjoy some of the finest food in Denver. 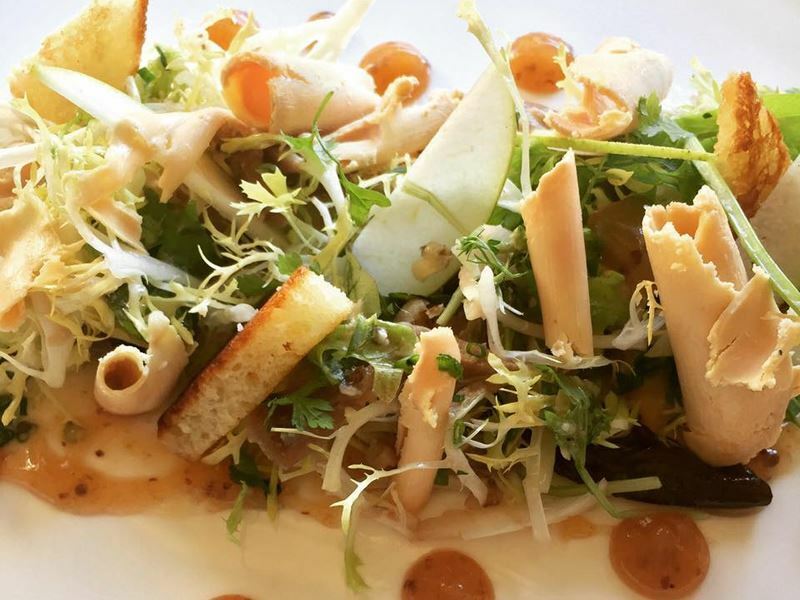 The alluring menu is overflowing with European-inspired delights, including Italian hand-made pastas, a twist on the classic Spanish gazpacho and the French favourite foie gras with a fruity flair. While the dishes are influenced by the plethora of seasonings found in Mediterranean dishes, Rioja prides itself on using the best local and seasonal products available from Denver farms and producers. As you’d expect from a restaurant with a name like Rioja, the wine list features largely Spanish labels, available by the glass and the bottle, in addition to a wonderful selection of refreshingly fruity and deliciously spiced cocktails. Signature dish: Porchetta served with peaches, butter-poached turnips, mustard greens, brown butter oats and balsamic. 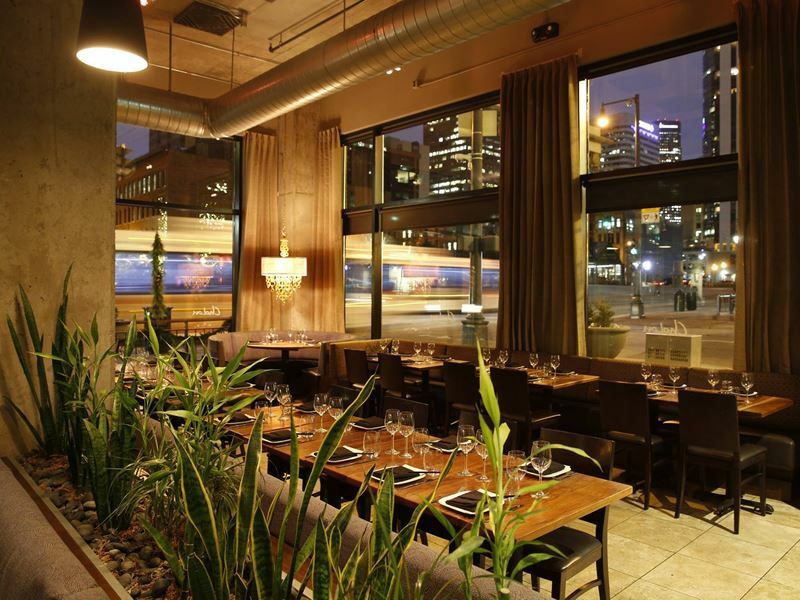 The scene: Known for its bold flavours and inspired dishes served up in an intimate setting, Vesta is always filled with the vibrant energy of excited guests drawn in by their ingredient-driven small plates and flavour-packed sharing platters. Succeeding in their aim to create a warm and inviting vibe, this restaurant delivers a creative New American menu complemented by unbelievably delicious dipping sauces. Whether you go for their intense barrel-aged hot sauce, cool smoked onion crema, spicy ghost chilli barbecue sauce or something totally different, you’ll find your accompaniment takes an already delicious main course to a whole new level flavour-wise. And when the saucy side dishes are so appealing, you can only imagine how incredible the main menu is. Offering up a comprehensive medley of international bites, like char siu pork belly, fresh chickpea falafel, Colorado rack of lamb and lobster cioppino, the thoughtfully crafted dishes made from locally-sourced, organic and sustainable ingredients are all so inviting that you’ll have to ask your server to come back several times before you’ve made up your mind. Signature dish: Pan-roasted bone marrow served with a short rib marmalade, candied shallots, parsley, apple, toasted brioche and a red wine gastrique. The scene: Established as one of the premier Japanese and sushi restaurants in the United States, Sushi Den exceeds the expectations it’s been building up amongst diners since it first opened its doors more than 30 years ago. 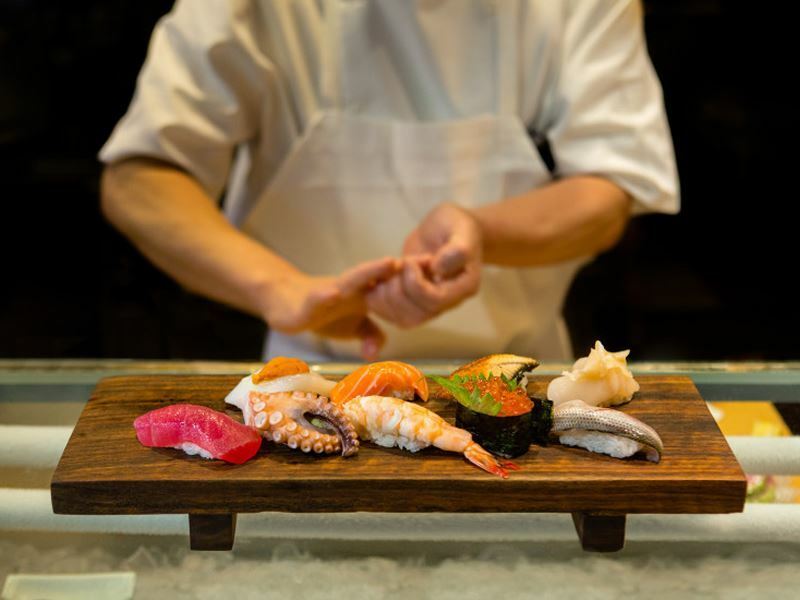 The closest thing you’ll get to a real Japanese dining experience without a long-haul flight, this exquisite restaurant will thrill your tongue with edible pleasures ranging from elegant sushi and meticulous sashimi to perfectly battered tempura and superb noodle dishes. Fresh fish is flown in daily so diners who’ve earned their seat by waiting in the consistently long lines can enjoy high quality dishes in chic, modern surroundings which attract young, trendy crowds. The huge selection of drinks provides you with an overwhelming choice of sakes, international wines, spirits, beers and signature cocktails. We recommend the delicious sake flight – three small measures of superior sake carefully chosen by the master chef. Signature dish: Sriracha-garlic shrimp – Mesquite-grilled spicy jumbo tiger prawns drizzled with a roasted red pepper togarashi chilli sauce on top of whipped potatoes and a mango salsa. The scene: Showcasing approachable and exceptional quality food without the stuffy pretence of fine dining, Fruition is an award-winning restaurant with a seasonal New American menu that reads like an epicurean romance novel. Taking classic comfort food dishes to new heights, Fruition’s cuisine is rooted in simplicity, lettings the ingredients take centre stage and pure flavours shine through. From the pan-roasted Icelandic cod to the grilled tender belly pork chop, every ingredient in every dish has a unique purpose and helps create complex layers of flavour and texture. The rustic garden-to-table approach to the food is mirrored in the charming décor which features solid wooden furniture, kitchen tool decorations and bright floral artwork. The result is a comfortable home-away-from-home dining spot where you can relax and tuck into gourmet eats without having to put on your best suit. Signature dish: Maple Leaf Farm’s duck breast served with Black Mission fig marmalade, parsnip puree, crispy red quinoa and a port duck reduction. The scene: A modern chophouse with a talent for wood-fired dishes, Guard and Grace has totally redesigned the way people in Denver dine at a steakhouse. 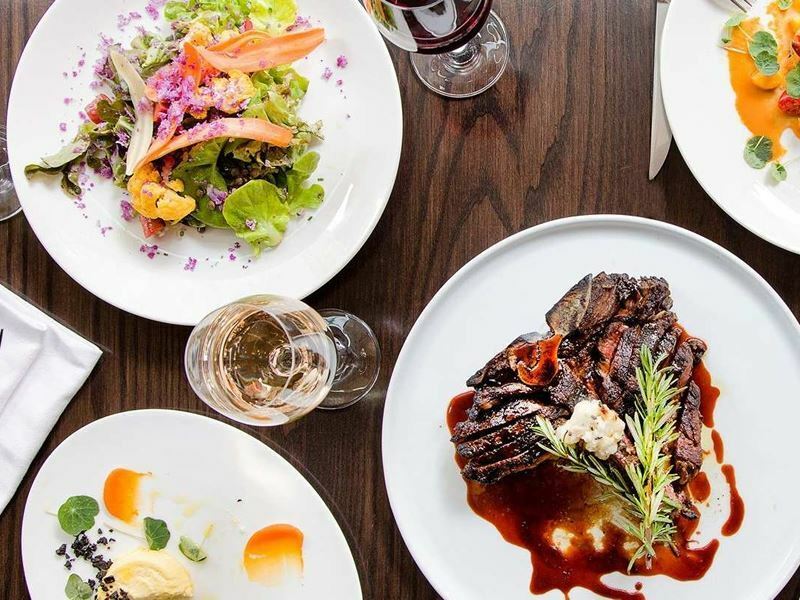 Specialising in local meats, cheeses and produce, this leading establishment offers hungry visitors a broad selection of small plates designed for sharing, daily-changing features, a fresh-as-can-be raw bar and local grass-fed beef to satisfy every culinary desire. One of the most unique and exciting dishes is the filet mignon flight, comprised of a trio of a 4oz prime, a 4oz angus and a 4oz grass-fed steak. 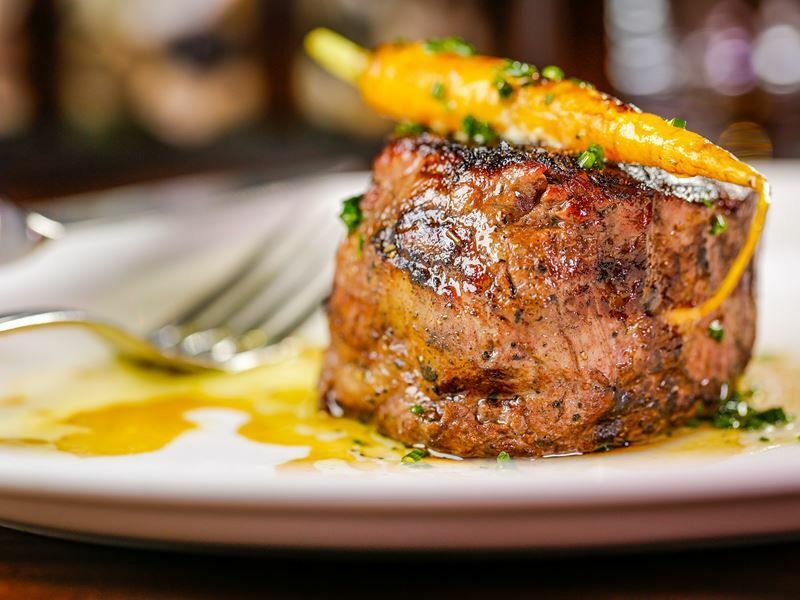 Despite being a strong steakhouse, the menu also includes equally tempting offerings of Scottish salmon with carrot butter, smoked chicken with a three-grain medley and Colorado lamb T-bones with butter-poached root vegetables. The cocktails are prepared just as perfectly as the steaks. But if a wonderfully harmonised blend of vodka, blood orange, lemon and rosemary is a bit too much for you, there’s a huge choice of international wines available by the glass and bottle, too. Signature dish: 22oz bone-in ribeye steak. The scene: Denver’s popular Japanese gastropub serving international cuisine, Izakaya Den delivers a tapas-style menu which blends traditional Japanese dishes with exotic flavours from all over the world. Run by the Kizaki brothers who created the famous Sushi Den next door, Izakaya Den offers up an even more fresh and creative Asian fusion menu, jam packed with one-of-a-kind adventurous eats you won’t find anywhere else. From the sake steamed duck breast and the grilled tuna steamed buns on the global menu to the deluxe sushi platter and the lobster ramen noodles on the Japanese menu, each dish is so carefully put together and highlights such tempting, intriguing ingredients that you’ll end up ordering more than you can eat, just to sample a little bit of everything. 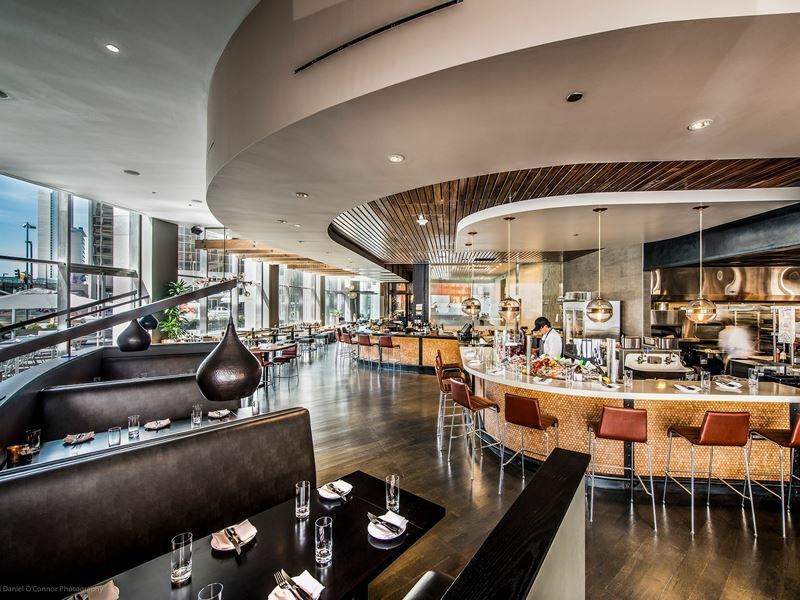 The stunning surroundings, complete with ultra-state-of-the-art décor and a retractable roof, provide the ideal contemporary digs in which to enjoy chic and Instagram-worthy dishes that taste every bit as good as they look. Signature dish: Sashimi dinner – tuna, yellowtail, salmon, whitefish and octopus sashimi served with a bowl of light and fluffy steamed rice.